or (ii) contact us to book tickets for you. Booking online requires that you enter your information for EACH SHOW you choose to attend. If you prefer that we book tickets for you, please send an e-mail to reservations@SierraStages.org with your name, shows/dates, and specific seat locations or general guidance about your seat preferences. You will receive a confirmation email with tickets you may print at home for each show you choose to attend. ​You may also call us at 530.346.3210 and provide this information by phone. FLEX PASS Holders may book tickets online now! 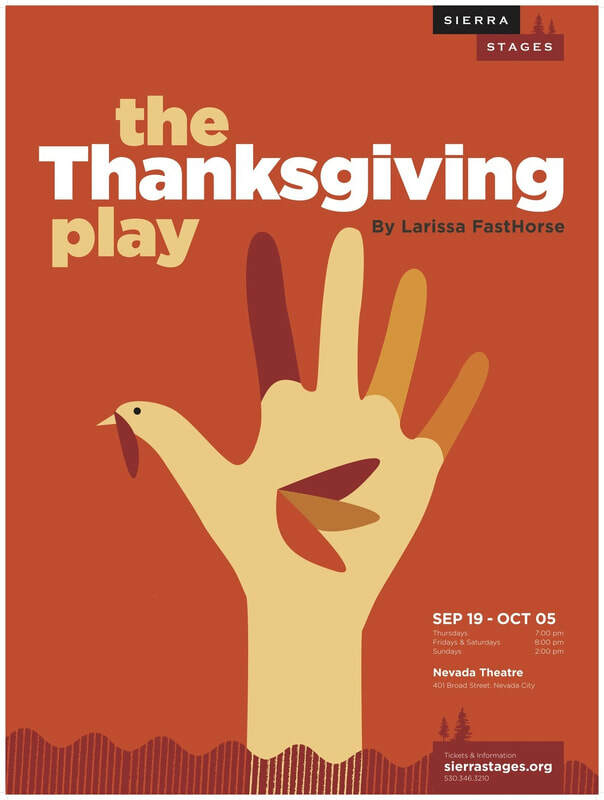 Cabaret and The Thanksgiving Play will be performed at the Nevada Theatre. You may select seats in any location at the Nevada Theatre. For rows A-H, click the Front of Theatre section; for rows J-O, click the Rear of Theatre section. Row G - the row on the cross aisle at the Nevada Theatre - is in the Front of Theatre section. Note that the band for Cabaret will be at the back of the stage. Only FLEX PASS Holders may book tickets using Coupon Code(s) until individual tickets go on sale (approximately 6-8 weeks before each show). As you may know, ticket sales do not cover all of our expenses. Please consider becoming a 2019 Sierra Stages Member or 2019 Season Sponsor. ​Members and Season Sponsors are acknowledged in our programs. Sierra Stages is a 501(c)(3) organization - Tax ID Number 26-377625.